Juan Tavares - For the Industry. By the Industry. Juan Eduardo Tavares is co-founder and chief strategy officer (CSO) of LendingPoint. As a business strategist, entrepreneur, and philanthropist, Juan’s passion is to create opportunities by solving social challenges that have stood in the way of economic progress for underserved populations. 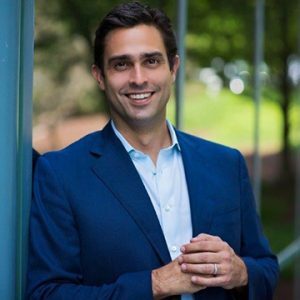 As CSO, Juan leads LendingPoint’s strategy development and execution of strategic initiatives aimed at driving growth, as well as communications, investor relations, and business and partner development. LendingPoint is a fintech balance sheet lender with a vision to revolutionize access to credit for NearPrime customers. The company is creating a better lending environment by using data and technology to look for more reasons to say “yes” — helping consumers with credit scores in the 600-700 range unlock access to affordable loans and live better financial lives. With more than 15 years of success as a private investor, Juan also serves as the business development director for the Tavares Private Equity Group, where he is a member of numerous boards and advises executives across several industries including small business lending, consumer finance, industrial real estate, global trade and marine terminals, medical travel, health care, and education. In this role, Juan has been responsible for spearheading the company’s efforts in progressive lending. In 2011, he cofounded Avanzame Latin America to introduce merchant cash advance in the Dominican Republic. Juan works with the non-profit EDUCA, an organization that advocates for best practices for education in the Dominican Republic. He is a graduate of the University of Miami School of Business.